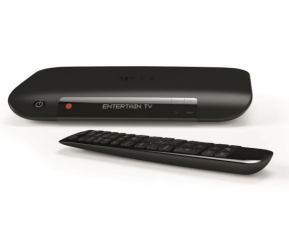 Deutsche Telekom has partnered with Zenterio for the launch of its recently-released 4K Entertain TV set-top box. The new device, which launched last month, is powered by the TV and multiscreen solutions provider’s Zenterio OS and supports 4K video and services like YouTube and Netflix.Zenterio said that its software is powering the set-top as part of the German telco’s strategy of harmonising STB client software across all of its operations in Germany, Hungary, Greece, Romania, and Croatia. The 4K Entertain TV STB supports a variety of advanced features, including 4K, YouTube, and Netflix video content. The box supports live IPTV up to 4K resolution VOD, third-party apps, advanced bandwidth and resource management, parental control, interactivity with companion devices and advanced data collection and monitoring capabilities, according to Zenterio. “EntertainTV in Germany is the first time Deutsche Telekom Group has ever offered a 4K service, and we’re honored to be collaborating together on this project. Common software platform was the key to the success of this service launch and two other major service launches for Deutsche Telekom Group recently, in Germany and Croatia,” said Jörgen Nilsson, CEO of Zenterio. Telekom unveiled its MR401 and MR201 UHD TV boxes in October, offering UHD TV content from its own on-demand service Videoload, YouTube and Sky as well as Netflix, and the Insight TV UHD linear channel. Deutsche Telekom revealed in April that it would launch UHD TV services on its platform before the end of the year, with content VP Peter Kirchoff telling a panel session at MIPTV that the telco planned to launch two to four channels, with a plan ultimately to make up to eight channels available. Deutsche Telekom has been using Zenterio’s software for some time to provide a standardised OS for legacy boxes across its footprint, with advanced services delivered from the cloud to these devices.